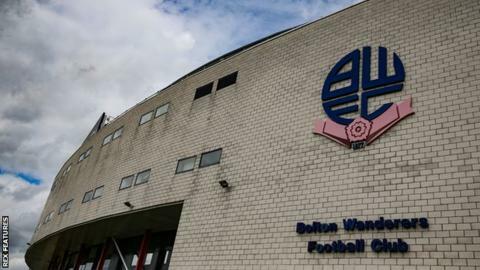 Bolton Wanderers have been given two weeks to settle their debts or risk going into administration. The supposed new buyer is said to already own a major stake in a "high-level football club". A club statement said: "We are pleased to get the adjournment today, which will allow the club to make progress with the interested party." On Tuesday, Bolton confirmed takeover talks with another interested buyer, believed to be the Football Ventures consortium, had ended. The Championship club now have 14 days to complete a takeover and clear their debts to avoid a winding-up order, which would leave them facing administration and a 12-point deduction next season. Wednesday's brief High Court hearing in London was the sixth time in 16 months that Wanderers have defended a winding-up petition because of unpaid tax. In 2016, Wanderers successfully avoided being wound up and paid off a £2.2m tax bill when Dean Holdsworth's Sports Shield consortium and Anderson's Inner Circle completed a last-minute takeover. But Anderson, who now owns almost 95% of Bolton's shares, is struggling to finance the club and has said he is doing his "utmost" to sell. Players and staff received February's wages late and their league game against Millwall on 9 March was only cleared to go ahead three days before because of concerns over sufficient stewarding. The last English Football League club to go into administration were Aldershot Town in May 2013, when they were relegated from League Two. Meanwhile, Forest Green Rovers have also confirmed they have started legal proceedings against Bolton over the collapsed transfer of striker Christian Doidge.